Premier Auto Trade has announced an extension to their range of quality ignition coils for the aftermarket with the addition of the genuine Ford Falcon AUII and AUIII coil (IGC-011). 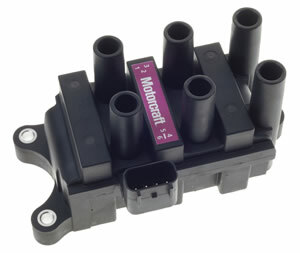 This ignition coil is made by Motorcraft and is the OE coil that the vehicle was originally manufactured with. Often workshop owners are led to believe that OE products are only available from the vehicle dealer however this is not necessarily the case. Many OE products are available from your regular parts supplier; you may just need to request them. Premier Auto Trade offers original ignition coils for many popular vehicles including Holden Commodore VZ and VE, Astra TS, Barina XC, Combo XC, Tigra, Mazda Tribute, Ford Escape and now the Falcon AUII and AUIII. These are all quality products from leading manufacturers including Motorcraft, Denso, Bosch, Valeo, Hitachi, VDO, Mitsubishi Electric and Delphi. With over 435 coils in the PAT range, for over 3200 vehicle applications, this Ford Falcon coil is just the latest in a huge range of ignition coils available from Premier Auto Trade. Over 80% of the components they supply to the Australasian aftermarket are sourced from the Original Equipment manufacturers. When it comes to OE products the workshop and end user can be confident that comebacks will be less of a problem, and expect a product that is exact fit and tested to the vehicle manufacturer’s specifications. Today many vehicles, such as the VZ & VE Commodore 3.6L require significant workshop time to remove and replace the ignition coil set. It is safer to install a quality OE product at the start to avoid the significant time and cost required to reinstall when a poor quality coil is identified. The OE part will work exactly as the one it’s replacing. With original coils ease of installation saves time, money and avoids problems, offering superior durability and longer life expectancy. One of the most significant factors to consider is who stands behind the product you purchase. Without the support and peace of mind the leading global developers and manufacturers such as Delphi, Bosch, Motorcraft, Valeo, Hitachi, Mitsubishi Electric, VDO and Denso can offer, is it worth the risk? Premier Auto Trade is committed to supplying the Australian and New Zealand Aftermarket with quality components from the world’s leading manufacturers. Premier Auto Trade distributes across Australia and New Zealand through a network of specialised resellers and leading automotive retail groups. For more information contact Premier Auto Trade on 1300 4 PAT SALES (1300 472 872) or visit www.premierautotrade.com.au.